What is peace of mind worth to you? For some it’s knowing that they are protecting their assets and future with a Personal Umbrella Liability Insurance. Umbrella insurance is designed to give you added liability protection above and beyond the limits on your homeowners, auto and other personal insurance policies. With an umbrella policy, you can select between $1 to 5 million in liability protection. This protection is designed to take over when the liability on other current policies has been exhausted. Liability insurance is the portion of a homeowners or auto policy that pays for expenses such as the injured person’s medical bills, lost wages, long-term medical care or damages to business or vehicles due to the person at fault. The liability portion of an insurance policy also covers legal expenses if the negligence results in any court proceedings. After adding up all of the medical expenses for the injured(and could be those over a lifetime) and the legal fees, the standard liability in a homeowners or auto policy may not be sufficient. Almost every state has financial responsibility laws that hold drivers accountable for bodily injury and property damage due to a car accident for which the at-fault driver could be sued for damages. Consequently, personal assets from the at-fault driver could be seized as a result of a lawsuit. Similar laws are in force for home, watercraft and motorcycle owners. 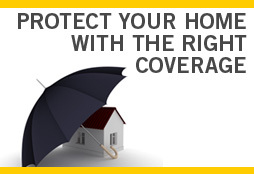 A Personal Liability Umbrella insurance policy gives you added liability protection for a reasonable cost. Having the added protection of an umbrella policy is coverage you shouldn’t think twice about –especially for the extra peace of mind it provides. Discuss this option with one of our agents. How Much Homeowners Insurance Do You Need? © Copyright 2019 AFS Insurance Services, Inc.. All rights reserved.